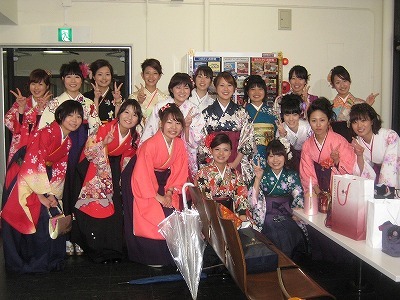 2008 was the 100th anniversary of Japanese-Brazilian immigration. When the former Japanese Prime Minister, Junichiro Koizumi, visited Brazil on September 2004, the President of Brazil, Luis Inácio Lula da Silva and he made an agreement on appointing the year 2008 as “Japan-Brazil Year of Exchange”. On June 18, 1908, the first Japanese immigrants had sailed by Kasato-Maru, and their centenary was finally reached. Never had Japanese-Brazilians and Nikkei society been so much in the spotlight. Major Brazilian magazines and newspapers ran a feature on the 100th anniversary, and Globo TV, the largest Brazilian TV network, broadcast many programs on this topic. Different types of ceremonies took place in several cities both in Japan and Brazil, and the importance and gratitude of the immigrants were commemorated throughout the year. The contents of the ceremonial occasions are described in detail in the commemorative book titled Imagens Do Centenário. In Brasilia, the capital of Brazil, President Luiz Inácio Lula da Silva attended the celebration. At the ceremony, the Minister of Foreign Affairs, Celso Amorim, stated, “Our economic relation initiates a new era”. Mentioning the agreements to adopt a Japanese system of TV digital signed in 2006 and to supply ethanol, “We are keeping international step with each other in many aspects”, he emphasized. São Paulo is where the history of Japanese-Brazilian began. At the ceremony there on February 13, the governor of São Paulo, José Serra, said, “The immigrants of Kasato-Maru represented a great labor force and hope for the future”, and praised their contribution to Brazil. On June 21, the biggest celebration was held in Sambodromo of São Paulo, a carnival area which is only used once a year. Lots of entertainments were provided such as Sennin-Taiko (1,000 drummers). A chorus of 3,640 people sang a Japanese song “Sakura Sakura” and a Brazilian song “Aquarela do Brasil” in front of the guests. A visit of the crown prince of Japan to Brazil made the celebration yet more meaningful. It was the second time for a crown prince to come to Brazil since 1982. Crown prince Naruhito attended several ceremonies in different cities and visited important places regarding immigration such as the port of Santos and Minas Gerais. In total, he visited eight cities in nine days and received an enthusiastic welcome. At the ceremony in Brasilia, he stated, “I am very proud, and it is auspicious that many Japanese have established definite status in various parts of the world”. In addition to such events, new activities were inaugurated. For example, “VIVA JAPÃO” was a new educational program of Japanese culture and the history of emigration. It appropriated 1.5 million dollars for 1 million students of elementary, junior high and high school to give them opportunity to experience Japanese culture. This was carried out from 2007 to 2008 by the education bureau of the state of São Paulo. About 350 schools with 250,000 people in the states participated (Centro do Brasil). It was the first program that let people learn another country’s culture in public education. In each school, students presented their individual themes at special study sessions. That of the city of Registro was with 2200 people from 44 public schools (Nikkei Shinbun). In its highly emotional ceremony, national songs of both countries were sung. Liberdade, which used to be Japanese barrio, is now called oriental barrio. Lily-shaped lamps and Torii were set up as symbols of Japanese society. In June 2008, split national flags of Japan and Brazil were hung in the main street named Galvão Bueno Street to welcome the crown prince. The official mascot of the 100th anniversary was designed by a famous cartoonist, Mauricio de Sousa. His wife is a second-generation Japanese-Brazilian, and he created two characters: Chikara and Keika. Throughout the year, they were used in both countries to symbolize their 100 years of history. Together with such mascots, commemorative coins and stamps were also made. Many products came out with special packages inscribed “100th anniversary” and two national flags. On April 24, a ceremony took place at Hotel Okura in Tokyo, and the royal family and representatives from both Japanese and Brazilian sides attended. His Majesty the Emperor made a speech and expressed his appreciation and hope in front of 400 guests. April 28 is the date when the first immigration ship Kasato-Maru sailed from the Port of Kobe. 100 years later, on the same day, a memorable ceremony was held in Kobe. A fire of friendship was lit in the ceremony of declaration of repairing the old Immigration Center of Kobe. The fire was sailed to Brazil at 5:55 p.m., the same time as Kasato-maru’s departure. What is more, a photograph exhibition of Japanese-Brazilian immigrants was held to deepen people’s understanding of the history of immigration, and the special event with the samba show and bossa nova music also attracted many people. In Hamamatsu, the commemorative festival called “Hamamatsu-Brazil Day” was held on September 14, with various performances of Brazilian and Japanese cultures. The city has the largest Brazilian residents, which accounts for more than 19,000 (Hamamatsu-city). Because Japan’s Immigration Control and Refugee Recognition Act was revised in 1990, second and third Japanese-Brazilians and their spouses were allowed to obtain status of residence. As they were guaranteed unlimited activity as long-term residents, many Brazilians settled down around Tokai area where there was demand for laborer at industry. According to a survey conducted in 2008 by the Ministry of Health, Labor and Welfare, 55.4% of workers from other countries were employed in service occupations and 39.6% in industry. 20.4% were Brazilian, and they mostly belonged to medium-sized and small companies (Kawamura, 2009, 128). That demonstrates that foreign residents in Japan play a significant part in regional economy. The number of Brazilians among registered foreigners in Japan was only 1,955 in 1985, which accounted for 0.2% of the total (Kawamura, 2009, 132). It increased to 316,967 in 2007, which accounted for 14.7% of the total (the Immigration Bureau of Japan). This increase is owing to the improvement in the living environment. For example, there are several Brazilian restaurants and stores of daily commodities in Hamamatsu. The Hamamatsu-Brazil Day showed appreciation to both Japanese and Brazilian immigrants, and Hamamatsu is stepping forward to realize a mutual society with understanding of other cultures and values. Waseda University also took part in celebration of the 100th anniversary. Waseda Glee Club, a male chorus group, was invited to Brazil to give performance in several universities and cities. Shiho Suzuki of Waseda Graduate School, who was studying abroad in the University of São Paulo, accompanied the choir. She recalled, “There were not only Japanese-Brazilians but also lots of locals to see the performance. Music connects people regardless of languages. I remembered that one day, when the Glee Club had finished its performance, lots of audience did not leave the building and waited for the choir. When it came out to the lobby, they started to sing a song in Portuguese together. I was very moved and thought that it explained everything”. It represented the power of music and friendship between Japanese and Brazilians. Waseda University Baseball Team was also invited to Brazil. Its tour lasted for two weeks in August, and it was supported by the Brazilian Baseball Federation. Its first visit was in 1958 on the 50th anniversary of Japanese immigration, and the second in 1998 for the 90th celebration. Therefore, Waseda University Baseball Team and Brazil have had long amicable relations. The main purpose of the visit was to strengthen friendship between Japan and Brazil through baseball. Seven matches were played in five cities; three matches against the Brazil national baseball team and four matches against Keio University, so-called “Sokei-sen”. 6,500 people came to watch the final game of Sokei-sen at Baseball Stadium Mie Nishi in São Paulo, which accounted for largest number of spectators ever (Nikkei Shimbun). Besides games, the team had discussions with baseball players at Brazilian universities and held special baseball lectures for Brazilian kids. Hiroshi Kawaguchi, professor in charge of Waseda University Baseball Team, recalled, “When I arrived in Brazil, I was amazed how far apart it was from Japan. It was also surprising to imagine that Japanese sailed the same distance by ship 100 years ago. I will never forget the view of rain forests in Amazon from the airplane, which seemed to continue forever”. He explained that Japanese baseball is different from foreign baseball in its concept and spirit. He added, “This is why Japanese baseball is never called “baseball” but “Yakyu”, because it has its own proper way. For instance, Yakyu puts high value on politeness”. This visit made him realize the power of sports. “Baseball matches against the Brazilian national team showed me that baseball can cross the borders and build friendship. That is because players play under the same rule and fight against each other’s human ability. There is neither political conflict nor national issues. I saw that everyone had a contented look and praised one another after the game. That was all”. Yuta Kaizu, a student coach, also accompanied the team. He was amazed to be welcomed warmly in such a distant place. What made him surprised was the bad condition of the baseball grounds. “It was actually good experience for me because it reminded me that I used to play on such grounds when I was little. Now I know how blessed we are with our baseball environment”. The national sport of Brazil is undoubtedly soccer. In fact, most of baseball players in Brazil are Japanese-Brazilians. He commented, “Baseball has not been popularized yet in Brazil, but our visit surely brought the attention of local people. Without any knowledge, lots of people came to watch our games and showed interest. If ever a Brazilian baseball star appears, it will be more well-known”. He also pointed out, “I think that baseball is only popular among Japanese-Brazilians because of economic reason. Baseball equipment is so expensive, that it might be a bottleneck. We donated balls we had brought to Brazilian teams. If rich countries like Japan and the United States assist, Baseball may spread more”. This tour was influential to both Waseda University Baseball Team and Brazilian local people, and this interaction strengthened their friendship. The fourth visit must be waited for. According to a survey in May 2009 by the Ministry of Foreign Affairs, Brazil possesses an area of 851,200 square kilometers, which makes it the fifth largest country following Russia, Canada, China and the United States. It possesses 47.3% of the South American continent and is about 22.5 times the size of Japan. Its population is around 194 million in 2008. Brazil is famous for rich natural resources, especially iron. Although research is not yet complete, some experts say that 4.8 billion tons of irons still lie buried. If so, the amount of iron would satisfy demand for the coming 500 years. Brazil is also the world’s leading exporter of ethanol, and currently it excels in high technology. Moreover, Brazil is called a “World Food Warehouse” and dominates the world’s coffee, sugar and beef supplies. The factors stated above are enough to define the development of Brazil. However, another side of Brazil is less bright. The amount of crime by Brazilians is increasing both in Japan and Brazil, and social order is hard to maintain. Nikkei Shimbun reported that on March 4, 2008, the Metropolitan Police Department of Japan released its annual statistics about foreign criminals in Japan. It showed that 1,255 Brazilians were arrested, down 93 from a year ago, but the number of arrests was 7,686, which marked the highest number ever. 6,744 cases were theft, and 164 were related with drugs. The occurrence of juvenile delinquency by Brazilians from age 14 go 20 is not comparable with other nationalities’: 252 Brazilians (31% of the total) were arrested in 559 cases (52% of the total). Although it is decreasing, its end cannot be foreseen. In large cities, high-grade and humble houses adjoin each other. Such scenery suggests a huge social gap between the rich and the poor. The slums called “Favelas” in São Paulo city used to account for only 1% of city population in 1973. However, it gradually increased and in 2000, there were 2018 Fevelas with 1.16 million people of 378,863 families, corresponding to a little more than 10% of the total population of the city. Such problems cannot be avoided and before Brazil’s further development, solving these issues should take first priority. Over the longest distance, Japan and Brazil have built a strong relationship. It is impressive that more than 100 years have passed since the arrival of the Kasato-maru at the Port of Santos. Appreciation to Japanese ancestors who immigrated to Brazil must not be forgotten. The history of immigration and its importance should be keenly passed down to the younger generation, but it is not easy as they cannot imagine or perceive it as actual experience. Chizuka Yamazaki, a third-generation Japanese-Brazilian, directed a movie titled “Gaijin (Foreigner)” in 1980. Its theme was the life of Japanese immigrants from the Kasato-maru. It reflected the reality of immigrants well and won a FIPRESCI award at the Cannes film festival of the same year. She made the second volume “Gaijin 2” in 2005, and it was screened in Tokyo and Nagoya. Sugako Hashida, a Japanese drama director, wrote “Haru e Natsu” as a commemoration of the 80th anniversary of NHK. It talks about the lives of two sisters, the older sister Haru in Brazil and the younger sister Natsu in Japan. With her comparison of two lives in different places, Ms. Hashida shows a tragedy of war and family ties. Nikkei Shimbun interviewed Ms. Yamazaki and questioned her if the drama sufficiently tells the history of emigration. She answered, “It is impossible to tell 100 years of history just in one drama. However, in the sense that this work pioneers in treating such theme, I think that NHK has made a great step”. Such promotions must play an important role in passing the story and reality of ancestors to the future. Many other countries have been interested in Brazil. For example, twenty universities in Germany offer Portuguese teaching. The largest Brazilian study center was established in Oxford University, Britain in 1997. The United States experienced the revival of Brazilian study in 1990, and it came to establish a Brazilian Studies Association (BURASA) in 1994 (Nakasumi). They are eager in building economic relationships with Brazil; however, none of them can exceed the friendship between Japan and Brazil. With 100 years of history begun by the immigrants of Kasato-maru, they are stepping forward together to make better future. Both countries have national problems and issues related with migration, but the long history of friendship shows their tight partnership and mutual reliance. It is expected that Japan and Brazil will be a good example of an interactive world with respect to similarities and differences, and they will pioneer the united world.